L I V I A: [NEW RELEASES FROM PHILOSOPHY SKINCARE RANGE] FEAT. 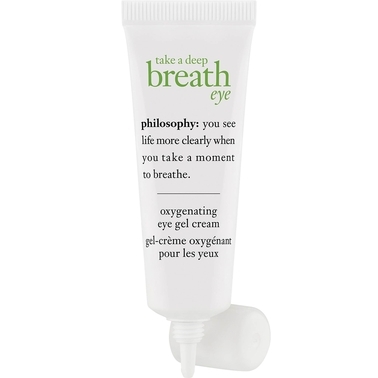 THEIR TAKE A BREATH OIL-FREE OXYGENATING GEL CREAM + EYE GEL CREAM! [NEW RELEASES FROM PHILOSOPHY SKINCARE RANGE] FEAT. THEIR TAKE A BREATH OIL-FREE OXYGENATING GEL CREAM + EYE GEL CREAM! 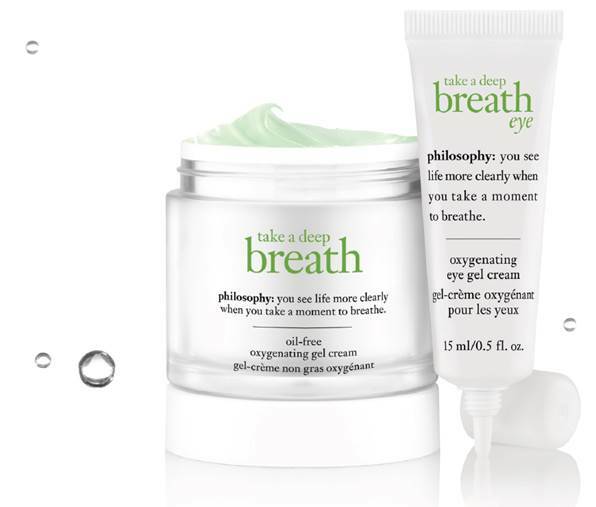 philosophy have recently launched their new Take a deep breath oil-free oxygenating range, specifically designed with patented antioxidant and anti-pollutant complex. Say hello to their new 'Take a deep breath' Oil-free oxygenating gel cream and eye gel cream from the skincare range where they are formulated with exclusive clean air technology. How it works is that the natural technology is obtained after enhancing the natural oxygen production in the barley plant - which provides a leaf extract that maximises oxygen that's essential for the skin's surface as it increases cell energy so that it feels more radiant and energized. In a nutshell, the products are supposedly to help make the skin breathe freely. Overall, I have taken both of these products on a road test for about 2.5 weeks to see how it could benefit my skin and whether I would continue to use them. If you are curious to learn more about what I thought, simply scroll below to read more. So this is a very lightweight cooling eye gel cream that's formulated with clean air technology that delivers oxygen onto the skin to keep the area around the eye looking more plump and younger. I felt that by applying the eye gel cream onto the skin around my eyes, it helped to revitalise my tired looking face. This is due to the fact that it contains barley leaf extract - which helps to increase oxygen levels in the skin. I also noticed that it helped to subtly smooth out the puffiness of my eyes (AKA eyebags) and it also helped to brighten up the area of my dark circles which is my number one culprit for when I don't get enough sleep. So on the those particular days where my eyes are feeling a tad tired, I'd apply a small amount with my fingertip around the eye areas in the morning and evening. (It really helps to tone down the puffiness of your eyes). You'll also be pleased to know that the product contains 'glycerin' which means that it helps to moisturize the skin hence boosting the hydration natural levels for the skin. (This is perfect for the delicate areas around the eyes). Overall, I have been using the eye gel cream twice daily and already noticed that all of my eye puffiness were smoothed away and the area looked much brighter in its appearance. It's a great eye product for which I will definitely be looking to re-purchase. Check out https://www.philosophyskincare.com.au/ for more information. philsophy's gel cream is so lightweight that it feels comfortable on the skin. It helps to protect your skin from further pollution and helps to keep it radiant and looking fresh. I also found that it helped in looking to smooth my skin from any imperfections. The gel cream also does not leave a greasy feel to your skin which is ideal because it absorbs quickly onto the skin. The gel cream also contains angelica, green coffee, green tea, bitter orange peel and pongamia - which all help to neutralize any free radicals. In terms of moisture, this gel cream really leaves the skin feeling super moisturised as it contains glycerin so it's perfect if you're wanting to have hydrated skin for the season. Dryness is eventually quenched from the skin leaving it feeling wonderfully smooth and stronger. I felt that my skin looked so radiant and felt absolutely hydrated after using the gel cream on a daily basis which I was very impressed with. If you're after a lightweight oil-free gel cream, then definitely be sure to check this one out. 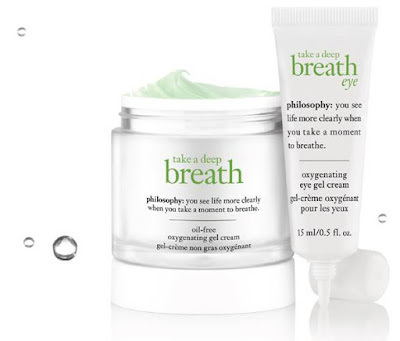 Have you checked out philsophy's new 'Take a deep breath' range as yet?